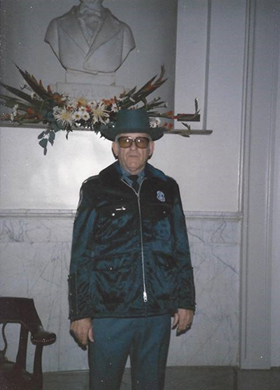 Superintendent of the state armory and captain of the public guard. 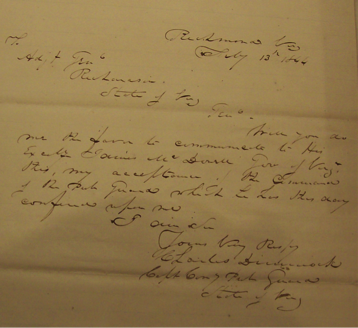 Letter from Charles Dimmock accepting command of the Public Guard. On June 16, 1845, the Public Guard was presented with a new banner. 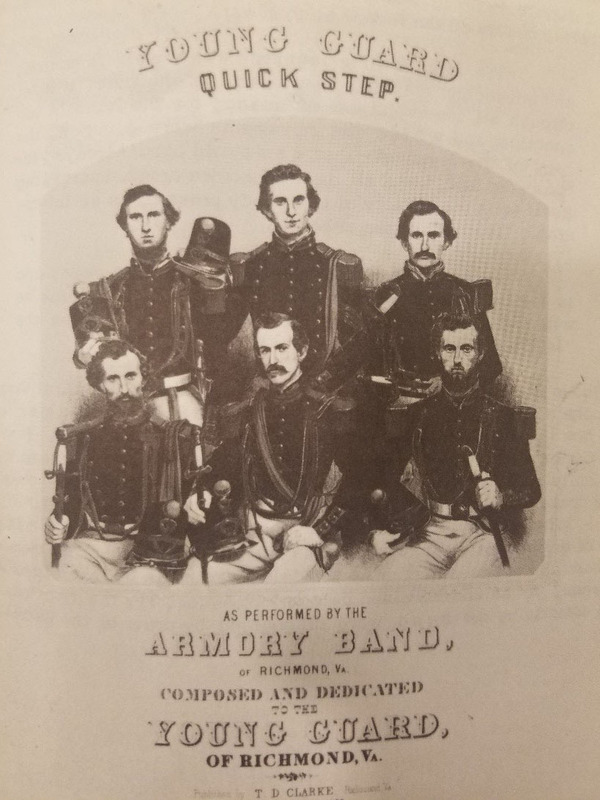 The Virginia Armory Band was a division of the Public Guard and eventually became its own regiment in 1859. Governor appointed and commissioned Dr. William A. Patterson as Surgeon of the Penitentiary and the Public Guard. 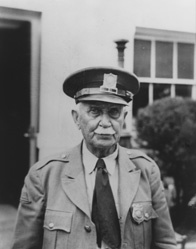 Edward S. Gay was acting commander of the Public Guard during the periods when Dimmock was on leave of absence during the war and following his death. He officially became commander in January 1863 and remained so until the guard was disbanded in 1865. The Senate bill making Lt. E.S. Gay commandant of the Public Guard, with an amendment by Mr. Wynn, that nothing contained therein shall operate to diminish the pay and rank of Col. Dimmock, whenever he shall return to assume command of the same, was taken up and passed. Capt. E. S. Gay is authorized to employ a police force to guard the penitentiary and other public buildings. Peter Crutchfield, who served as lieutenant of the Public Guard, replaced Quarrier as commandant between 1811 and 1817/1818. 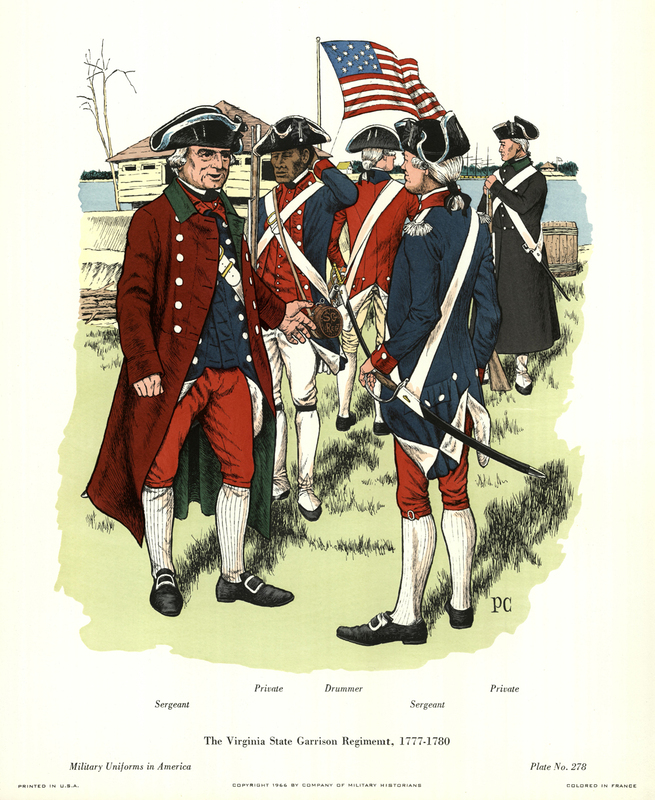 Alexander Quarrier, who had served in the American Revolution, was appointed the first commandant of the Public Guard by Gov. James Monroe on Feb. 10, 1801. "189 An act to amend" an act for the security of public property in the city of Richmond - By this act the Public Guard is restored to its original number of men and officers. 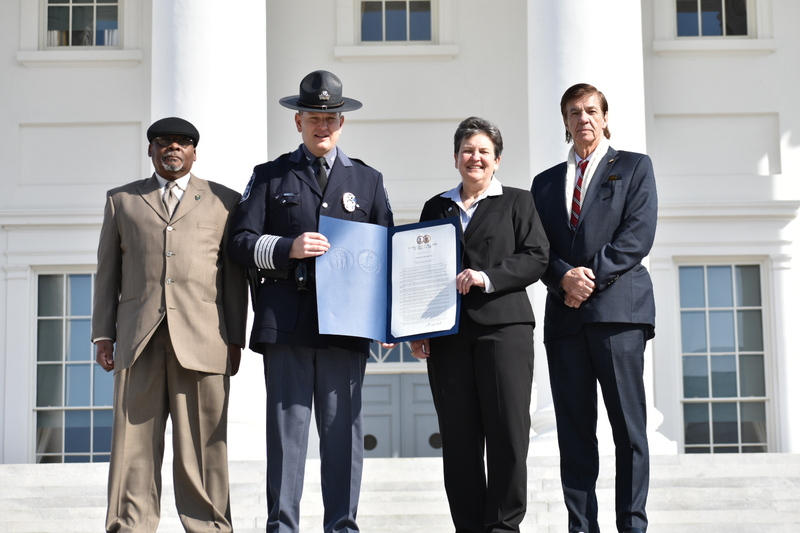 Col. Anthony S. Pike (second from left), chief of the Virginia Capitol Police, was joined on the Capitol's South Portico stairs by the division's three living former chiefs on Feb. 9, 2018, after the Virginia House of Delegates honored the agency with a resolution commending it for 400 years of service. From left were George B. Mason Jr. (1999-2006), Kimberly S. Lettner (2007-2011) and Lonnie E. Craig (1991-1999). 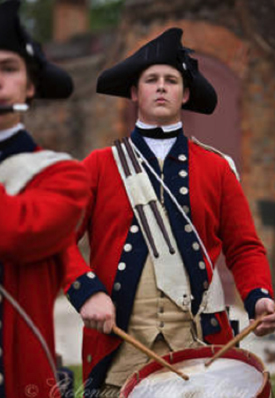 In 1778, Virginia needed soldiers to protect the capital of Williamsburg. 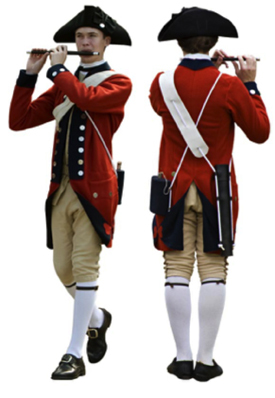 The General Assembly established the Virginia State Garrison Regiment, which served in the Tidewater area of Virginia, stationing troops at Hampton, Yorktown and Williamsburg. Fifers and drummers served with the enlisted men of this regiment. Detail from a framed painting located near the entrance to the House of Delegates Chamber in the Virginia State Capitol, Commonwealth of Virginia. 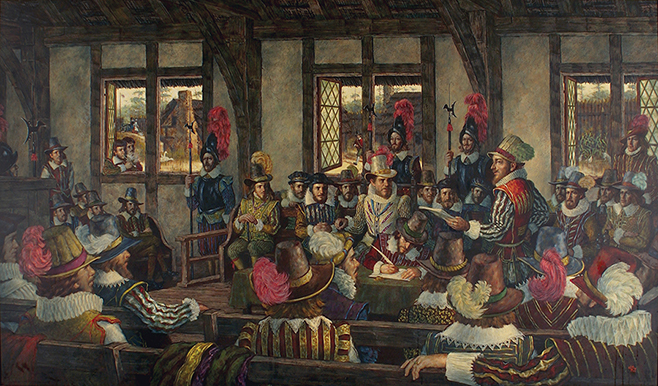 In 1968 the Jamestown Foundation commissioned two copies of a painting of the First General Assembly meeting in the New World. One now hangs in the Virginia State Capitol and the other was presented to the British Parliament in London. The paintings were completed in August 1969 by the artist Jack Clifton from Norfolk, Virginia. Where was the meeting held? In the King’s Anglican Church at Jamestown. This was during a period when the colonial alliance of the “Cross and Crown” was still in effect. The “Speaker” was John Pory, who had served in Parliament and knew about legislative procedures. He remained in Virginia until 1622 and then set sail for England, stopping on the way at the Plymouth Settlement on Cape Cod Bay, with a timely supply of provisions. Who was the Governor? Sir George Yeardley. He is in upper-class attire in the center of the painting. His Councilors sit behind him. Look at the guards. They are wearing armor breastplates and holding halberds. Halberds incorporated an axe blade, a spear point, and a pick/hammer beak. They were popular symbols for authority. The General Assembly met inside the palisade fort at Jamestown. The weather was extremely hot and one Burgess, Walter Shelley, died of heat stroke. Colonists were not allowed to act aggressively against Powhatan Indians, in order to preserve the “Peace of Pocahontas,” a truce which began with the marriage of Pocahontas to John Rolfe in April 1614 and lasted for eight years. 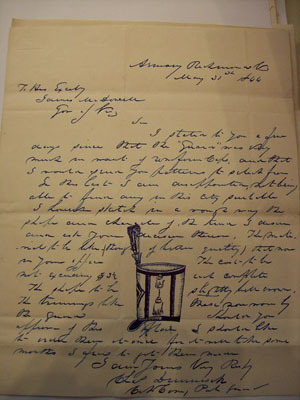 Idleness, playing dice or cards, and drunkenness were deemed punishable offenses, in order to encourage everyone to be productive members of the colony. Attempts would be made to Christianize Virginia Indian children. Colonists were to store one barrel of corn more than they needed in preparation for times when food might not be plentiful. All tradesmen were to receive fair wages for their labor. Contracts with indentured servants made in England were deemed valid in Virginia. Indentured servants were not to be enticed away from one master to work for another without prior arrangements. In summary, many of the laws passed then dealt with issues which are still relevant today. Preserve the peace, be productive participants in society, be prepared for difficult times, show fairness at work, and resist greed and selfishness. Many of the legislative procedures used in 1619 became the early blueprints for our representative government today. SENATE JOINT RESOLUTION NO. 532 Commending Colonel Lonnie E. Craig. WHEREAS, Colonel Lonnie E. Craig, Chief of Police of the Virginia Division of Capitol Police since 1991, will retire on May 1, 1999; and WHEREAS, a graduate of Bassett High School, Lonnie Craig served in the U.S. Army in Germany and earned a degree in criminology from St. Leo College and a master's degree in public administration from Golden Gate University; and WHEREAS, Lonnie Craig has received advanced training in a wide variety of law-enforcement subjects from the Federal Bureau of Investigation, the Virginia State Police, the U.S. Treasury Department, the U.S. Secret Service, and many others; and WHEREAS, from 1968 to 1974, Lonnie Craig served as a trooper with the Virginia State Police, and from 1974 to 1984, as a special agent; and WHEREAS, Lonnie Craig then moved to the Virginia Port Authority Police Department, serving as Lieutenant, Captain, Major, and from 1985 to 1991, Chief of the Port Authority Police Department; and WHEREAS, for the past eight years, Colonel Lonnie Craig has served with great distinction as Chief of the Division of Capitol Police; and WHEREAS, Colonel Lonnie Craig has been a member of countless professional and community organizations, including the Chesapeake Crime Line Commission, the Portsmouth Safety Council, the Chesapeake Hospital Authority, the Virginia Chiefs of Police Association, and the Virginia Crime Prevention Association; and WHEREAS, for his exceptional service to the community and the Commonwealth, Colonel Lonnie Craig has been recognized repeatedly, most notably with a Distinguished Service Award from the Chesapeake Crime Line Commission and Outstanding Public Employee recognition by the Virginia Governmental Employees' Association; and WHEREAS, over a law-enforcement career that has spanned more than 30 years, Colonel Lonnie Craig has demonstrated exceptional integrity, leadership, and commitment to the safety of the citizens of the Commonwealth; now, therefore, be it RESOLVED by the Senate, the House of Delegates concurring, That the General Assembly commend Colonel Lonnie E. Craig on the completion of a superlative career of public service; and, be it RESOLVED FURTHER, That the Clerk of the Senate prepare a copy of this resolution for presentation to Colonel Lonnie E. Craig as an expression of the General Assembly's gratitude and best wishes for a long and rewarding retirement. 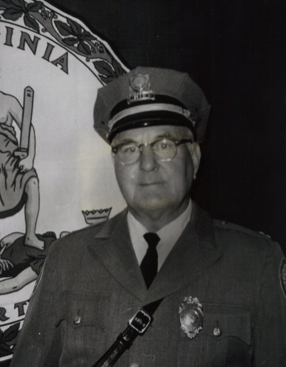 Jack Clements interviews Jack Pettis (John Powell Pettis), retired captain of the Virginia Capitol Police. 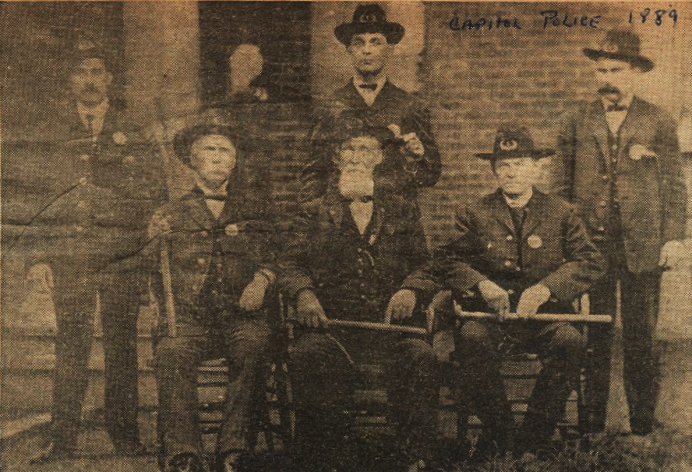 Pettis was appointed to the Capitol Police in 1889 by then-Governor Fitzhugh Lee. He retired in 1948 under Governor William M. Tuck. 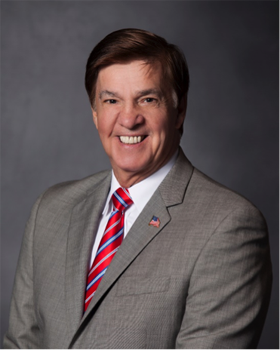 Pettis reminiscences about his years working at the state capitol, commenting on various governors, politics, and the capitol grounds. He considered E. Lee Trinkle the friendliest governor and Andrew Jackson Montague the most colorful. Duration: 10 min., 9 sec. 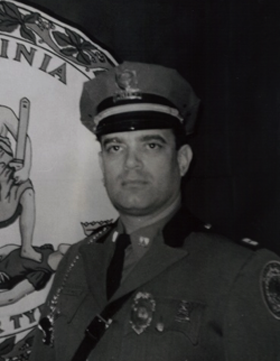 A Spotsylvania native, Lettner worked for the Virginia State Police for 22 years and was their highest-ranking female officer. 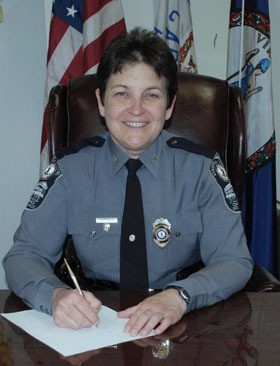 Virginia Capitol Police Chief Kimberly S. Lettner will retire July 1 after more than 25 years serving the commonwealth in law enforcement. Lettner, 51, took over as chief of America's oldest police department in January 2007, after serving 21 years with the Virginia State Police. As chief, she oversees 108 sworn and support personnel, serving what the department's website calls the "Capitol community" of the legislative, executive, and judicial branches of Virginia's government, its employees and visitors. Speaker of the House William J. Howell, R-Stafford, praised Lettner's leadership and service. "Indeed, the leadership she has provided to the Capitol Police force has increased its stature, garnered acclaim and earned well-deserved respect and appreciation by lawmakers and others throughout the commonwealth," Howell said in a statement. Col. Anthony S. Pike was sworn in as the Virginia Capitol Police chief on Oct. 11, 2011. Pike had joined the agency the previous December as assistant chief, and he became interim chief in July 2011 following the retirement of Col. Kimberly S. Lettner. Pike has made it a priority to address the progressive standards that have significantly changed the focus of law enforcement in a post-9/11 world. While still emphasizing the professionalism of the Virginia Capitol Police, Pike has recognized the need to be much more proactive in providing law enforcement and security services, especially at a Capitol complex that literally sees more than 100,000 visitors annually. A native of Wythe County, Pike left southwest Virginia to serve four years in the U.S. Army before beginning his law-enforcement career with the Virginia Department of Game and Inland Fisheries, joining the agency in 1988 as a game warden. 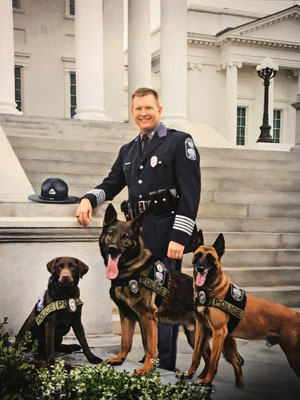 Named the department's Officer Of The Year in 1999, Pike in 2004 was named DGIF's operations major, a role he maintained until being named the Virginia Capitol Police assistant chief in 2010. Pike is a graduate of the 227th session of the FBI National Academy, the 64th session of the FBI Law Enforcement Executive Development Seminar, Northwestern University for Public Safety Executive Management Program and the Commonwealth Management Institute. He serves as one of 12 commissioners with the Virginia Law Enforcement Professional Standards Commission. 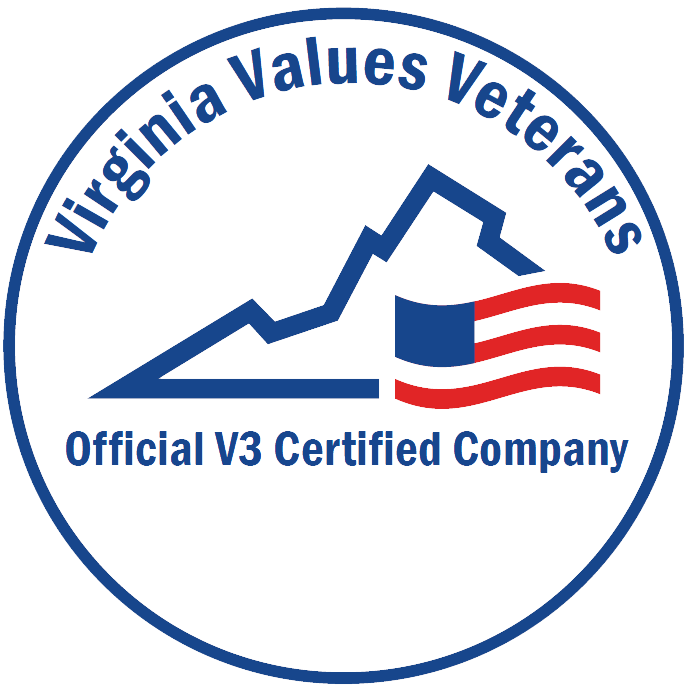 The panel consists of active sheriffs and chiefs of police who establish professional standards and administer the accreditation process by which Virginia agencies can be systematically measured, evaluated and updated. SENATE JOINT RESOLUTION NO. 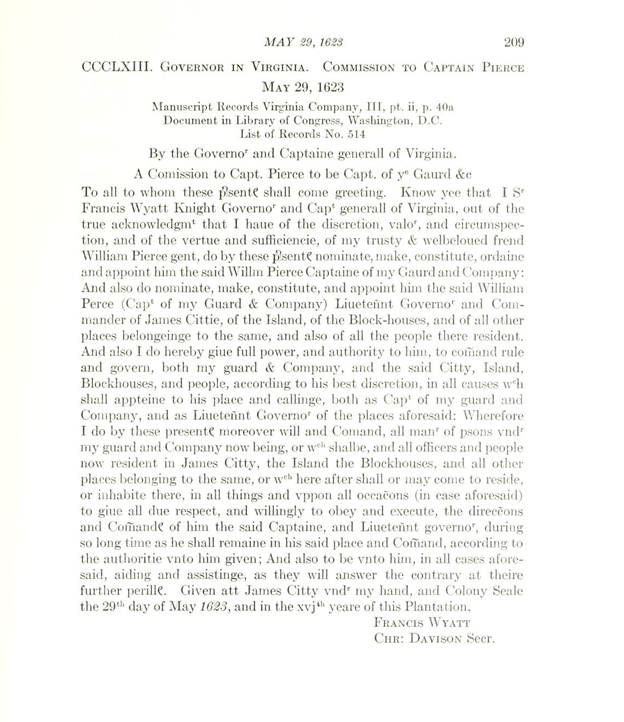 296 Commending Colonel George B. Mason, Jr., Chief of Police, and the Virginia Capitol Police. 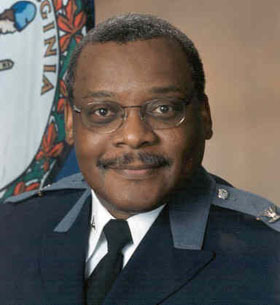 Served as patrol officer, investigator, supervisor, training officer, and operations commander, and was appointed chief of police on May 21, 1999. as chief, led the Virginia Capitol Police in the face of the added security challenges imposed by the terrorist attacks on September 11, 2001. on September 12, 2001, the Virginia Capitol Police established the first multiagency intelligence briefing on the September 11 terrorist attacks, which was attended by more than 15 criminal justice agencies, and produced a guide for handling suspicious packages which was so successful that it was adopted by the United States Army Criminal Investigation Command. 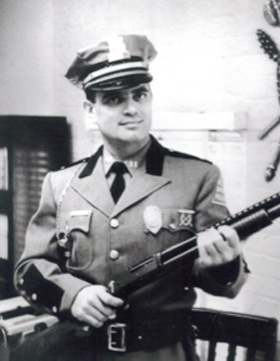 Under the visionary leadership of Colonel George B. Mason, Jr., the members of the Virginia Capitol Police are attentive, responsive, and courteous to all persons who enter state buildings and grounds. RESOLVED by the Senate, the House of Delegates concurring, That the General Assembly commend Colonel George B. Mason, Jr., Chief of Police, and the Virginia Capitol Police. HOUSE JOINT RESOLUTION NO. 68, Commending Captain W.A. 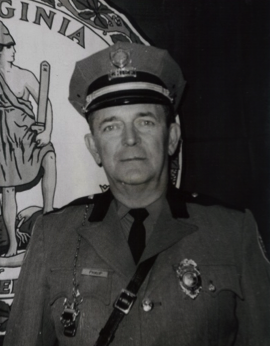 Seawell, Jr., Chief, Capitol Police, for his work in helping police officers improve their education. 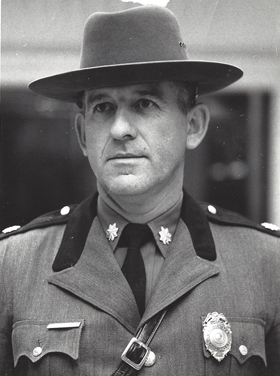 RESOLVED by the House of Delegates, the Senate concurring, That the sense of the General Assembly is that Captain W. A. Seawell, Jr., Chief, Capitol Police, be, and he hereby is, commended for enforcement, and that he be urged to continue in his efforts to that end. Bolling, Capt. Blair - Died, at his farm in Powhatan, on Saturday evening, the 3rd instant, Capt. Blair Bolling, in the 49th year of his age. Capt. Bolling was an officer of the Regular Army during the last war, and has been for more than 21 years, the Commander of the Public Guard in Richmond - an office embracing a variety of important and highly responsible duties, all of which he performed with a zeal, ability and fidelity that could not have been surpassed. In every relation of life - as a soldier, citizen, husband, father, friend - he acted well his part. To the Public his loss is irreparable - to his family, deeply bereaved as they are, there is the consolation that he has left them the richest legacy they could have received - a pure and unsullied name. "Resolved, That Captain E.S. 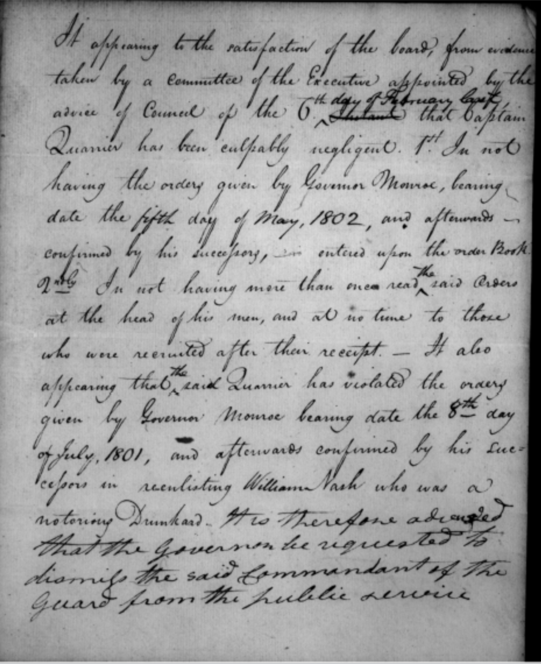 Gay, who has heretofore been commandant of the Public Guard, be, and he is hereby, authorized to employ, until otherwise provided by law, a police force, to consist of one lieutenant and thirty privates, whose duty it shall be to guard the penitentiary and other public buildings; and the said officers shall have the same compensation that the officers of the Public Guard have heretofore received, and the privates two dollars per diem, without rations." HOUSE JOINT RESOLUTION NO. 869, offered Feb. 2, 2017, celebrating the life of Anthony Pearly Tucker Jr. WHEREAS, Anthony Pearly Tucker, Jr., born on June 14, 1932, in Brookneal, went into eternal life with the Lord on November 28, 2016; and WHEREAS, Anthony P. Tucker, Jr., was the fourth of five children and reared by parents who instilled in him a spirit of service, respect for self and others, and a foundation of virtues upon which his character was formed; and WHEREAS, Anthony P. Tucker, Jr., served his country in the United States Navy from 1951 to 1955; and WHEREAS, Anthony P. Tucker, Jr., began an enviable law-enforcement record starting with the Lynchburg Police Department from 1955 to 1959; and WHEREAS, Anthony P. Tucker, Jr., from 1959 to 1963 served as a trooper with the Virginia State Police; and WHEREAS, Anthony P. Tucker, Jr., was a patrolman with the Chesterfield Police Department from 1964 to 1966; and WHEREAS, Anthony P. Tucker, Jr., joined the Division of Capitol Police in 1970 as a Major, retiring with the rank of Colonel in 1991; and WHEREAS, Anthony P. Tucker, Jr., in addition to his duties with the Division, served the Virginia Association of Chiefs of Police and the National Legislative Services and Security Association, including hosting its conference in Richmond in 1990; and WHEREAS, Anthony P. Tucker, Jr., served six Governors of Virginia: the Honorable Mills E. Godwin, Jr.; the Honorable Linwood Holton, Jr.; the Honorable John N. Dalton; the Honorable Charles S. Robb; the Honorable Gerald L. Baliles; and the Honorable L. Douglas Wilder; and WHEREAS, Anthony P. Tucker, Jr., provided the Division of Capitol Police with firm, professional, and compassionate leadership for more than two decades; and WHEREAS, Anthony P. Tucker, Jr., was known as the most generous and caring neighbor and friend to all who knew him and to strangers as well; and WHEREAS, Anthony P. Tucker, Jr., led a life of personal integrity, unblemished service, civic leadership, and professional excellence and had an unabashed commitment to his faith and family; and WHEREAS, Anthony P. Tucker, Jr., personified the scripture of Micah 6:8, "Seek justice, love, mercy, and walk humbly with your God"; and WHEREAS, bereft family, friends, colleagues, neighbors, and many others who loved and knew him are flooded with sweet memories and sorrow, and although the community has been diminished by his departure, Anthony P. Tucker, Jr., leaves a legacy worthy of emulation; now, therefore, be it RESOLVED by the House of Delegates, the Senate concurring, That the General Assembly hereby note with great sadness the loss of Anthony Pearly Tucker, Jr.; and, be it RESOLVED FURTHER, That the Clerk of the House of Delegates prepare a copy of this resolution for presentation to the family of Anthony Pearly Tucker, Jr., as an expression of the General Assembly's abiding respect and esteem for his memory and his enduring contributions to Richmond and the Commonwealth. 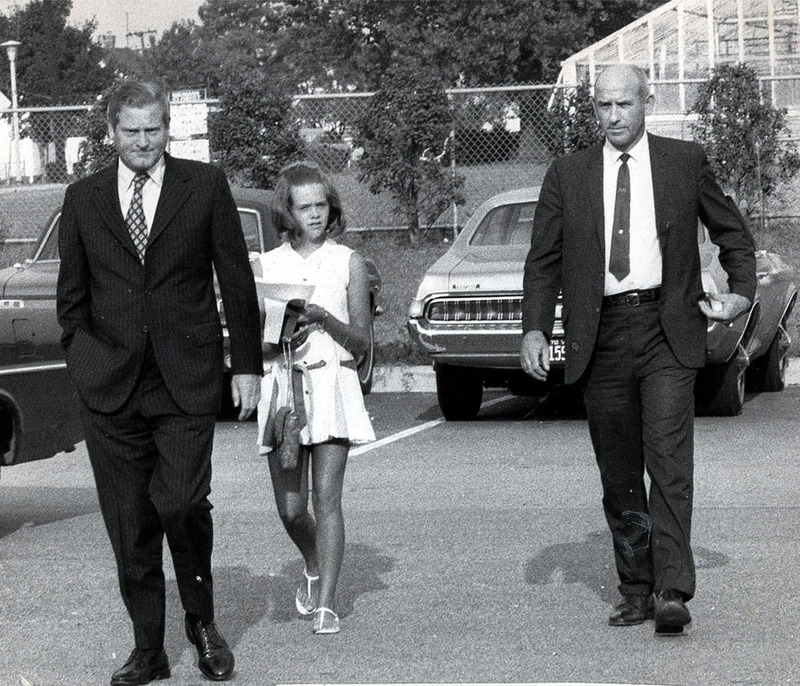 Virginia Capitol Police Chief “A.P.” Tucker (right) escorts Gov. A. Linwood Holton and his daughter Tayloe to her first day of class. 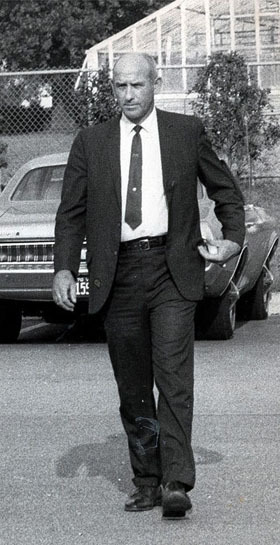 At John F. Kennedy High School on Aug. 31, 1970. Holton enrolled his children in the majority-black inner-city schools to which they were assigned under a federal court–mandated plan to achieve racial desegregation in the Richmond Public Schools. On June 16, 1845, the Public Guard was presented with a new banner. 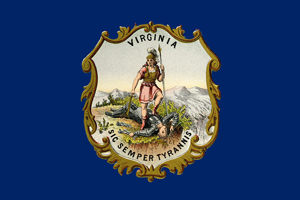 With slight exception, the [new] flag is identical with the rich and beautiful flag presented to the old Richmond Blues… On the one side, the arms of Virginia—on the other, the arms of the Union. The flag was painted on blue silk, On one side there was a depiction of “Minerva with her foot upon the neck of a prostrate tyranny and on the other the arms of the united states. An eagle surrounded by twenty-eight stars,… suitable inscription indicating the date of the company (1801) are displayed. The death of Andrew Jackson led the Public Guard to make the first public display of their new banner. Charles Dimmock (Aug. 5, 1800, to Oct. 27 or 28, 1863), president of the Portsmouth and Roanoke Rail Road Co. and chief of ordnance of the Confederate state of Virginia, was born in Barnstable, Mass., and was the son of Charles Dimmock and Deborah Lewis Dimmock. 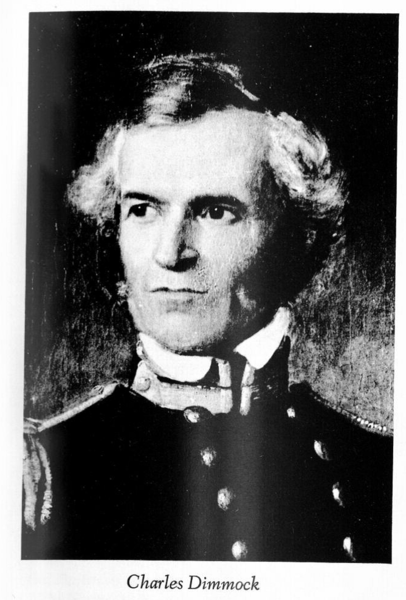 He entered the U.S. Military Academy at West Point on Sept. 7, 1817, and graduated fifth in a class of 24 on July 1, 1821. Commissioned a second lieutenant in the 1st United States Artillery, Dimmock remained at the academy for one year as an assistant professor of engineering under Claudius Crozet. He became the captain of the Public Guard on Feb. 13, 1844. Dimmock had a stroke at 10 a.m. on Oct. 27, 1863, and died about midnight in his house in Richmond. 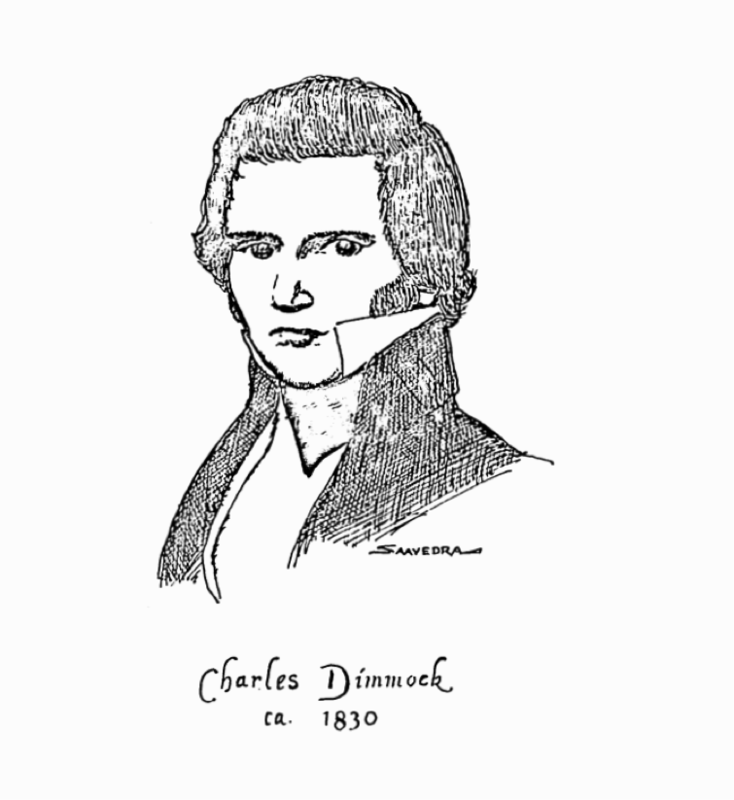 From 1823 to 1825, Dimmock was stationed at Fort Independence, in Massachusetts, interrupted by a year-long leave of absence to study garrisons and fortifications in Europe. He served one year in Virginia at the Artillery School for Practice at Fort Monroe, and one year as commissary of subsistence at Fort Trumbull in Connecticut. 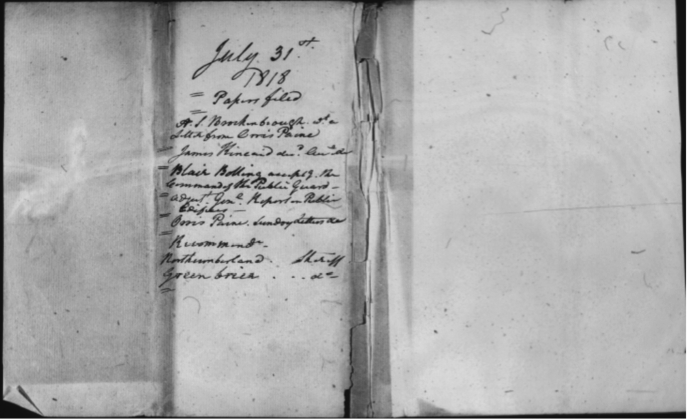 In 1827, Dimmock was transferred to Fort Severn in Maryland, and while there on March 31, 1828, he married Henrietta Maria Fraser Johnson in Anne Arundel County. They had at least six daughters and three sons, among them Charles Henry Dimmock, who had a notable career in civil engineering, and Marion Johnson Dimmock, who became a prominent architect. 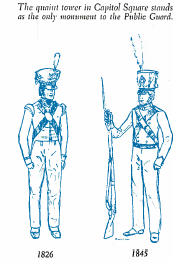 Commissioned a first lieutenant on Feb. 20, 1828, Dimmock returned to the Artillery School at Fort Monroe that year and remained until 1831. From 1831 to 1833, Dimmock was an assistant quartermaster at the breakwater near Cape Henlopen, Del., after which he returned again to Fort Monroe, where he was still serving when commissioned a captain on Aug. 6, 1836. Dimmock resigned from the army on Sept. 30, 1836, and began a career in civil engineering. Initially, he worked for Virginia's Board of Public Works and surveyed a potential canal route linking Back Bay and the Lynnhaven River, in Princess Anne County (later the city of Virginia Beach). In 1837, he prepared a survey for the Wilmington and Raleigh Railroad in North Carolina. That autumn, Dimmock surveyed a route for a proposed military road between Fort Smith, Ark., and Fort Leavenworth, Kan. In 1838, he joined the Portsmouth and Roanoke Rail Road Co., which operated a line from Portsmouth to the Roanoke River near Weldon, N.C. He became its president in the summer of 1840, and was soon embroiled in a controversy with the Petersburg Rail Road Co. over an effort to control access to the bridge at Weldon. Dimmock resigned in December 1841; the railroad's properties were sold in 1846 to the Board of Public Works and eventually became part of the Seaboard Air Line Railway. Developing an interest in steam navigation, Dimmock, William Spark and Francis Browne Deane formed Charles Dimmock and Co., which constructed two iron, steam-powered canal boats. They launched the Governor McDowell on June 17, 1843, and the Mount Vernon on Oct. 3, 1844. The Governor McDowell's screw propeller was innovative and efficient, but it drove the boat so fast that bow-wave action undermined the banks of the James River and Kanawha Canal, and they sold it in January 1847. 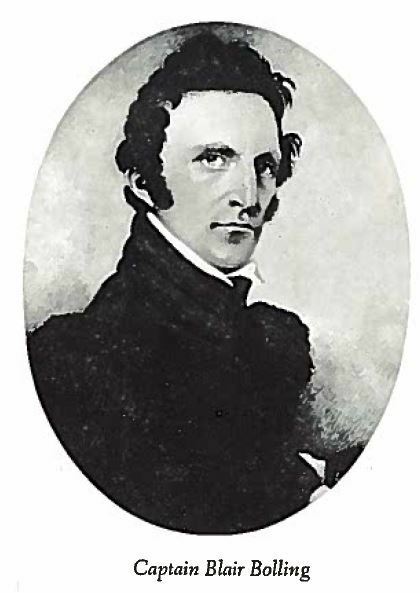 During the 1840s, Dimmock served as a director of the James River and Kanawha Co., resigning in November 1848. While living in Portsmouth, Dimmock became a captain in the Virginia militia on April 4, 1840, and a lieutenant colonel on November 9, 1841. After he moved to Richmond in 1843, he won election as a captain of the Richmond Grays. He was not commissioned, however, because on Feb. 13, 1844, Dimmock became the captain of the Public Guard, which had responsibility for the Capitol and its public square. He also became superintendent of the state armory, which included responsibilities as the superintendent of public edifices. He worked to improve the guard and the armory, created a new flag and new uniforms, started a band and introduced moral reforms. On at least two occasions, he was given a leave of absence to undertake surveys of railroad routes, including in 1848 for the nascent Lynchburg and Tennessee Railroad Co. (later Virginia and Tennessee Railroad Co.) and in 1853 for the Covington and Ohio Railroad on behalf of the Board of Public Works. From 1846 to 1848, Dimmock allowed the private Armory Iron Co., of which he was secretary, to use part of the armory's grounds, building and water power, but an investigation by the General Assembly ended the arrangement. 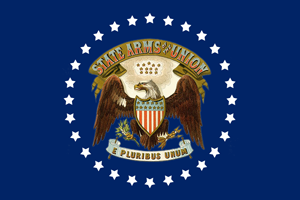 In 1852, he leased a portion of the armory to a private milling company with which he was connected and approved using state money for repairs to the leased property. He was also involved in auctioning the lease of the premises, which was awarded to an agent working on his behalf. As a result of the conflict of interest, he nearly lost his job in 1856. 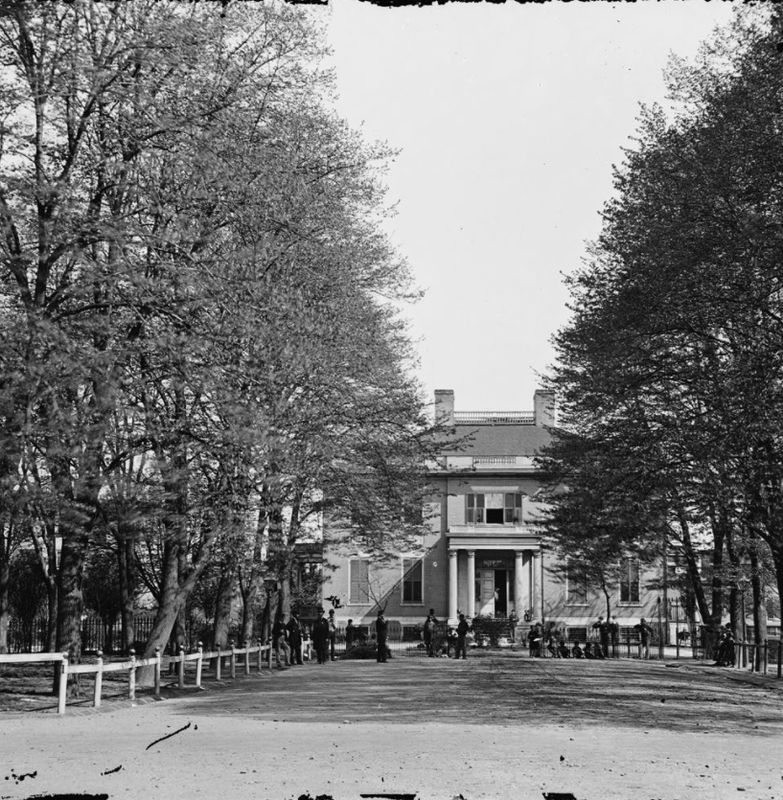 As the superintendent of public edifices, Dimmock called for improvements in Capitol Square, although in 1856 he asked to have that duty separated from his responsibility for the public guard. He was the engineer in charge of erecting the equestrian statue of George Washington onto its pedestal prior to its dedication on Feb. 22, 1858. 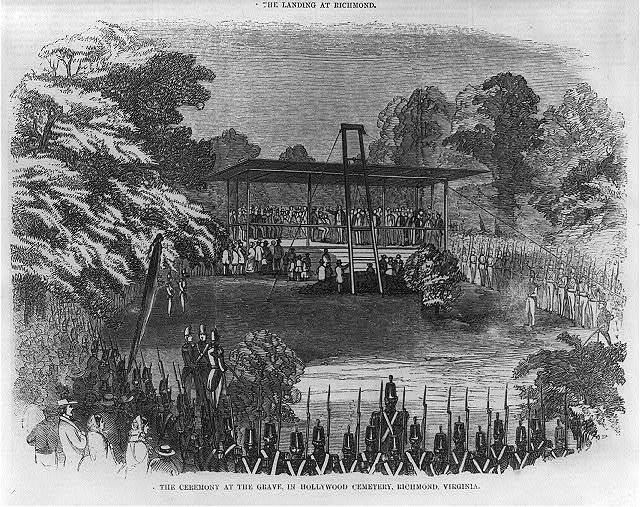 He was also the chief marshal for the public re-interment of James Monroe in Richmond's Hollywood Cemetery on July 5, 1858. 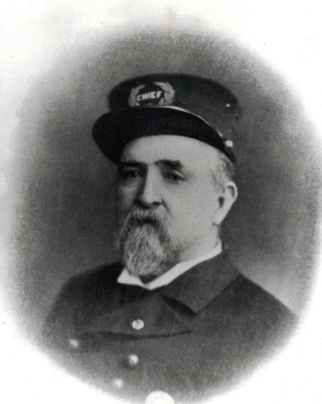 Son of Edward S. Gay of the Virginia Public Guard, the subject was born in Richmond on December 5, 1846. Although very young at the time of the outbreak of the Civil War, he organized a company of boys which became Company G of the 3rd Regiment for local defense; as captain of the unit he took part in the defense of Richmond against the Federal raid led by Colonel Dahlgren in March 1864. 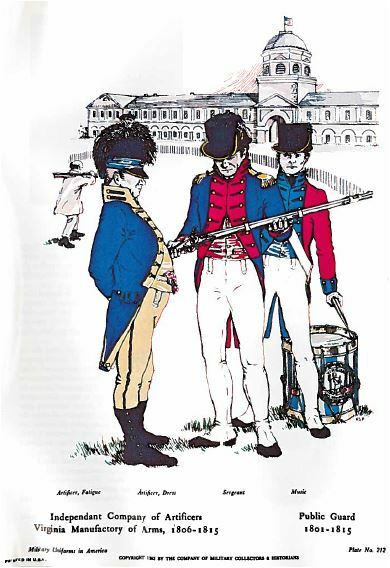 The regiment left the city with the army when Richmond was evacuated the following year and fought at Sayler's Creek, where many were made prisoner. Captain Gay spent the last twenty years of his life in Atlanta, Georgia, where he died on November 16, 1916. Biographic Catalogue; Richmond Times-Dispatch, Nov. 17, 1916; CMA Archives, folio Z1n. Captain Bolling was succeeded by Captain John B. Richardson as superintendent of the state armory and captain of the public guard. Richardson’s tenure was brief and uneventful. He died December 28, 1843. In early 1853, a 12-piece band was organized by members of the Public Guard under band leader James B. Smith. The band was immensely popular in antebellum Richmond, and earned a wonderful reputation as one of the best bands in America. The band received payment for its performances, which supplemented the members’ official state pay for being members of the Public Guard. The band work was a considerable distraction from their real duties, and in 1859 it was proposed that the band be abolished. A compromise was reached, however, and substitutes were hired to take the band members place in the ranks of the Public Guard. The band members were then discharged from public service.